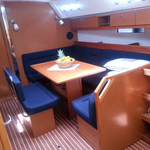 Allure Voyage is a name of boat Bavaria 40 Cruiser ,which was produced in 2011. 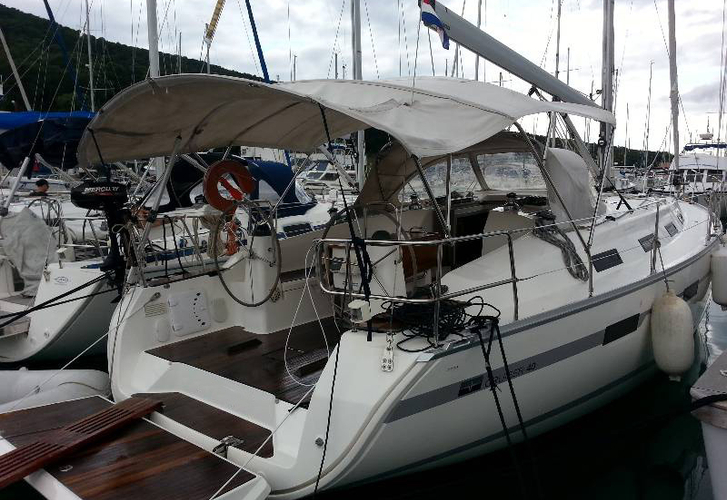 You can charter this sailboat from marina Split in the area of Split. 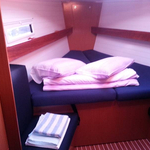 Allure Voyage is equipped with 8 sleeping places. 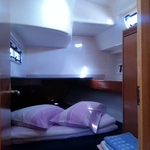 Beds on the sailboat are arranged in 8 (6+2) layout. 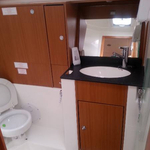 3 bedrooms are situated inside the yacht Allure Voyage. 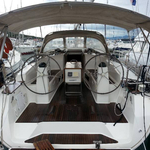 Look for more offers here: Yacht charter Split. 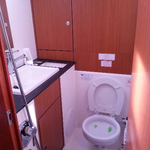 Passengers can feel comfortable on this vessel , because there are 2 bathrooms for their disposal. 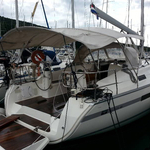 With 210.00 l l. in fuel tank you can sail really far and still be independent because of 360.00 l l. in water container. 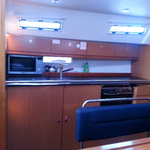 Allure Voyage is supplied with engine 27.3 hp. 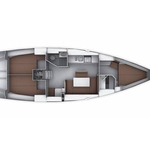 Sailboat's dimensions are: lenght overall - 12.35 meters , beam - 3.99 m and 1.90 meters of depth. 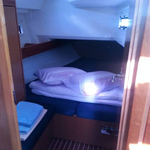 On the sailing boat is placed following equipment: Plotter gps in cockpit, Autopilot, Solar panels, Bimini top, Dinghy, Bow thruster, Furling mainsail, Radio cd mp3. . Security caution has value 1600.00 EUR. In our search machine you can effortlessly check avalailability of sailing boat Allure Voyage from Split in section: Yacht charter Croatia.